2018 is the year of standalone VR, with headsets expected from a range of manufacturers including the HTC Vive Focus, Oculus Go, Lenovo Mirage and Pico Neo. The consensus among the industry is that it's crucial for VR to cut the cables in order to achieve mainstream success and that these standalone headsets represent a step in the right direction - as borne out by the opinions of our panel of experts in the latest Focal Point debate. That optimism comes with one caveat, however, and that is the capability of all-in-one hardware to offer an experience that more closely approaches that of its PC counterparts than matching the lower performance smartphone sector. Of course, that comes down to processing power, which is where Qualcomm’s new for 2018 chipset, the Snapdragon 845 comes in. 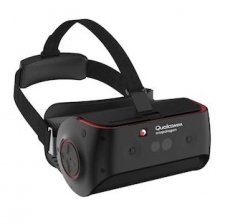 Attendees at this year’s Mobile World Congress have been treated to demos of a new reference VR headset by Qualcomm, designed to showcase the XR capabilities of its new Snapdragon 845 chip. 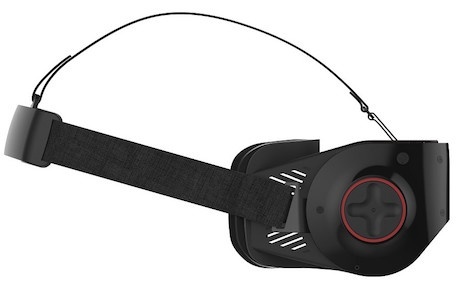 This hardware is not intended for consumer release, but acts as a proof-of-concept to third party hardware manufacturers looking to release their own standalone headsets. The American company claims that the latest iteration of its Adreno 630 visual processing subsystem offers 30% faster graphics performance, 30% better power efficiency, and more than twice as much display throughput compared to the Snapdragon 835 Mobile Platform. The previous generation 835 already powers HTC’s Vive Focus, Lenovo’s Mirage and Pico's Neo, while the forthcoming Oculus Go will achieve its $199 price by stepping back another generation to the 821. We're able to achieve significant power improvements and optimisations we aren't able to reach on other platforms. The new Snapdragon 845 headset features a Qualcomm Kryo 385 CPU, an Adreno 630 GPU, a dedicated Hexagon digital signal processor (DSP), and a Spectra 280 image signal processor (ISP). With a total of four cameras - two internal and two external - it will be the first mobile platform to enable six degrees of freedom (6DoF) head tracking with simultaneous localisation and mapping (SLAM) and supports 3D audio and voice commands. The display is courtesy of two 1024 x 1152 pixel screens at 120fps, which puts it roughly in the same ballpark as HTC Vive’s 1080 x 1200 per eye, although the resolution trails behind the Vive Pro’s 1400 x 1600, announced last month’s CES. 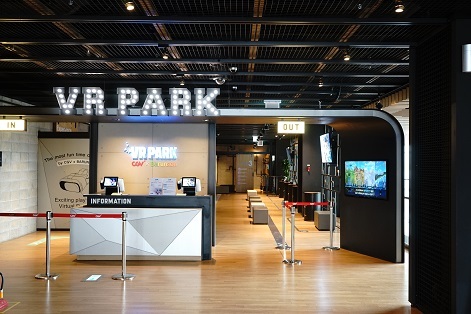 Amit Singh, Vice President, Business and Operations, Google VR and AR said, "Using Hexagon DSP, we're able to achieve significant power improvements and optimisations we aren't able to reach on other platforms. 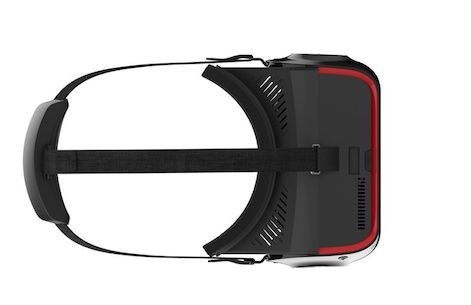 With Snapdragon 845, we believe we can achieve a high-quality VR experience with low latency, high frame rates and smooth head tracking performance for our users." Another innovation coming with the 845 is Adreno Foveation, which combines graphics rendering with eye tracking to understand where the user is looking. It’s engineered to direct the highest graphics resources to where the user is looking, providing the sharpest visuals possible. This digital image processing technique substantially reduces power consumption, boosts XR application performance, and improves visual quality within the user’s small fovea region compared to the previous generation. The process renders objects with progressively less detail outside of the fovea region, while rendering objects within your fovea’s field of view with much greater detail. In the 845, this is the result of advances in multi-view rendering, tile-based foveation, and fine grain preemption. Capitalise on the growing standalone and smartphone VR industry. One of those customers could be South Korea’s Samsung. The first smartphone to feature the 845 will be the recently announced Galaxy S9 and S9 Plus, due to launch in the next couple of weeks. Which raises an interesting prospect; since the latest Snapdragon supports both 6DoF and SLAM - considered by many to be crucial for compelling XR experiences - will we soon see an updated version of Samsung’s Gear VR and controller to take advantage of this functionality? Gear VR received a significant update last year with the addition of a 3DoF controller. Revealed at last year’s Mobile World Congress Shanghai, Samsung is also working on its own standalone VR headset that could use the 845. 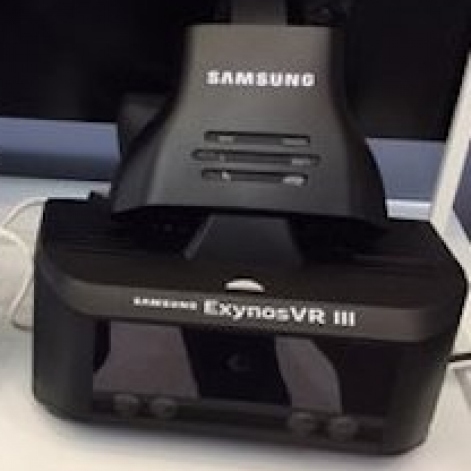 Although the HMD was strongly branded to promote Samsung’s own ExynosVR 3 series chip, the company has a history of using Snapdragon components in some territories. However, given that Samsung claimed the ExynosVR 3 supports dual Wide Quad HD (WQHD) resolution of 2560 × 1440 pixels - significantly higher than the Snapdragon 845 - it’s not likely it will feature in this headset. The highest possible level of performance to meet the high computing demands of the standalone VR product category. Oculus is preparing to ship a higher performance standalone headset later this year to sit above the Go in its range, codenamed Santa Cruz. While Oculus remains secretive regarding the specs of this HMD, it would make sense to opt for Qualcomm’s 845 and gain an important advantage over HTC’s Vive Focus, which uses the 835 - for its Chinese release at least - giving the Santa Cruz a potential graphics performance advantage of 30%. If the claims of 30% performance gains are to be believed, the Snapdragon 845 is a significant step towards standalone headsets becoming a credible alternative to inconvenient tethered set-ups. We can only hope that third party manufacturers embrace its VR potential. What Would It Mean For XR If Broadcom buys Qualcomm?